Who are some of the recently retired players who deserve a farewell match like Rooney? 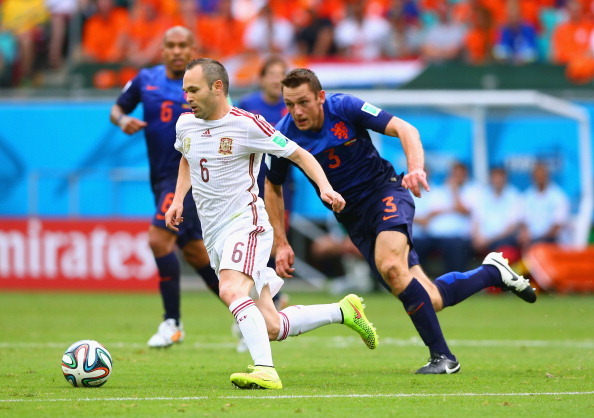 Well, for starters… Señor Andres Iniesta. There’s probably no other player worthy of this honour more than Andres Iniesta. While he’s spending the late days of his playing career demonstrating his tricks to the Japanese A-League, Iniesta earned 131 caps before putting a lid on his international career following the 2018 World Cup. In one of those caps, he scored an extra-time goal which sealed The Red Fury’s first ever World Cup title – a goal for which he has been applauded by opposition crowds like nobody else, a goal which stands as the greatest in Spanish football history. Calling Iniesta for one last bow with his friends and colleagues will be a fiesta for everyone involved. Let’s hope the day comes when we see it happen. As controversial as the “Almighty Zlatan” is, he’s still regarded as the best sportsman in Sweden’s history. He retired from international football after a disappointing Euro 2016 campaign and much like Wayne Rooney, he’s selling his craft across the pond. There’s no doubt he’s a divisive figure, with many people questioning his attitude, both in his home country and abroad. Nevertheless, his quality is undeniable and he deserves to be honoured for what he has done for Swedish football throughout his career. One last good-bye should be on the horizon. Knowing Ibrahimovic, it might even be on a grand stage. Despite 81 appearances in the national jersey and some memorable moments, Franck Ribery has mostly been an afterthought when it comes to Les Bleus. He missed the 2014 World Cup and retired soon after without ever making the impact so many expected him to make. France is on top of the world right now, so bringing Ribery back would make no sense from a football perspective. However, Ribery has truly been one of the best French players of his generation. He came from a difficult background, had a traumatic childhood, yet broke many barriers on his way to becoming who he is today. He might not have the accolades to prove it, but Franck Ribery certainly deserves to be recognized. Petr Cech retired from his national team following the 2016 European Championship, stating his age as the main factor for doing so. His record-breaking 121 caps are the most in Czech Republic’s football history. He’s one of the best, if not the best player they’ve ever had. Considering his playing days are not over, there’s still plenty of time left to organize one last game of appreciation for the tall Czech goalkeeper. Didier Drogba, who retired from international football, is an icon in his nation. He made 103 appearances for the national team, scored 61 goals, served as the captain of Ivory Coast for over eight years and led his team to their first ever World Cup qualification. Despite most people beliefs, he still hasn’t hung up his boots, even at the age of 40. March 11, 2019 will be his birthday and the perfect time for the Ivorian football federation to organize an event similar to Rooney’s. Drogba is known for his charity work, so a game against a high-profile side in his native Abidjan will be a true spectacle for this African nation. Not to mention, an ideal farewell for this football legend.